There are many reasons to love knitting, but I’ve been reminded over the last few weeks that I really need these pretty things. I’ve added delving into the stash of woolies to the scramble to find the right pair of shoes, and my phone, and keys, and a project that begins any excursion from home. In the process I’ve rediscovered some old favourites and I thought it might be fun to start a little sale, based on the design I’ve been wearing that week. 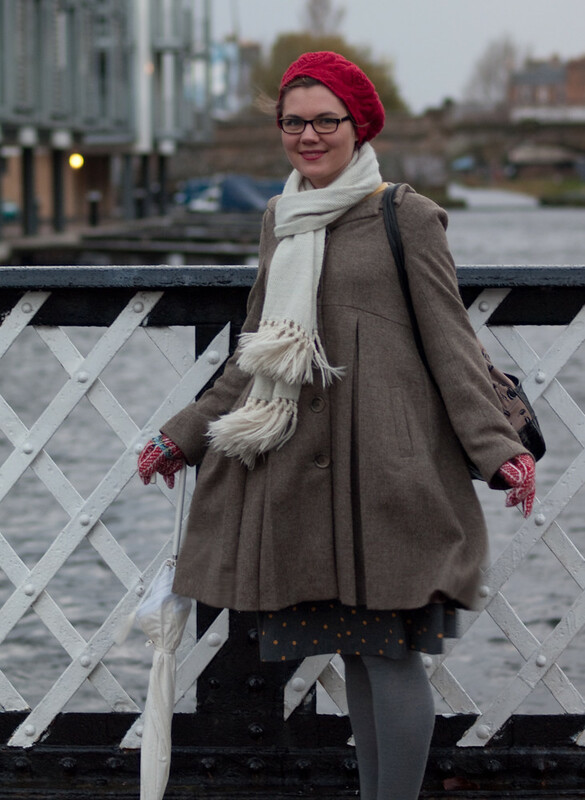 And so, every Thursday, there will be 20% off a particular pattern for the following week. 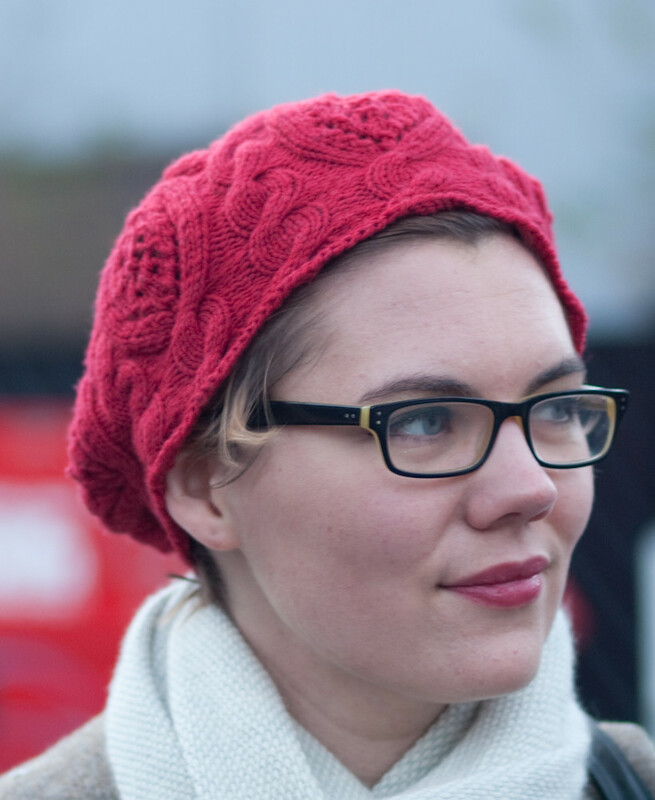 This week it’s Rose Red, this one was knit in perfectly woolly St. Denis Nordique.To receive the discount, enter the coupon code “chilly” at the checkout, or click here to buy the pattern at the discounted price. Since this is the first time I’m doing this, I have something extra special. 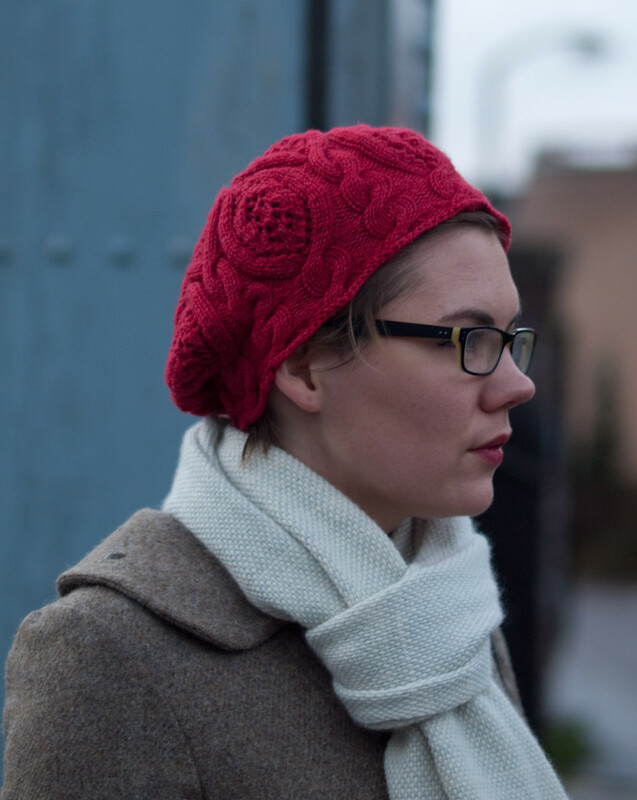 Want to make a hat just like mine? Leave a comment before Midnight GMT on Wednesday the 17th telling me what’s been keeping you warm recently. 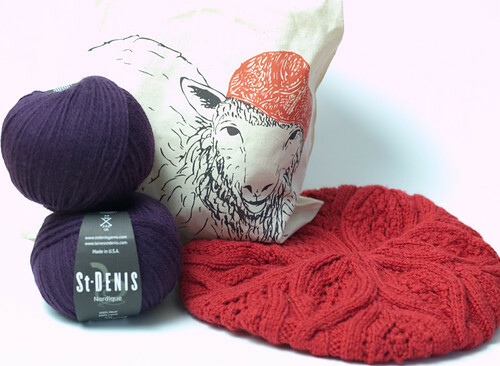 I’ll pick a winner randomly who will receive a kit for the hat containing a project bag illustrated by my talented brother,2 balls of St. Denis Nordique in red and a printed copy of the pattern. Not everyone can win, but we are working on getting a few different kits up for sale, I’ll let you know as soon as that’s set up.